Is this the best billboard ever? Probably not, but with the cricket score on it last weekend it sure would come close! 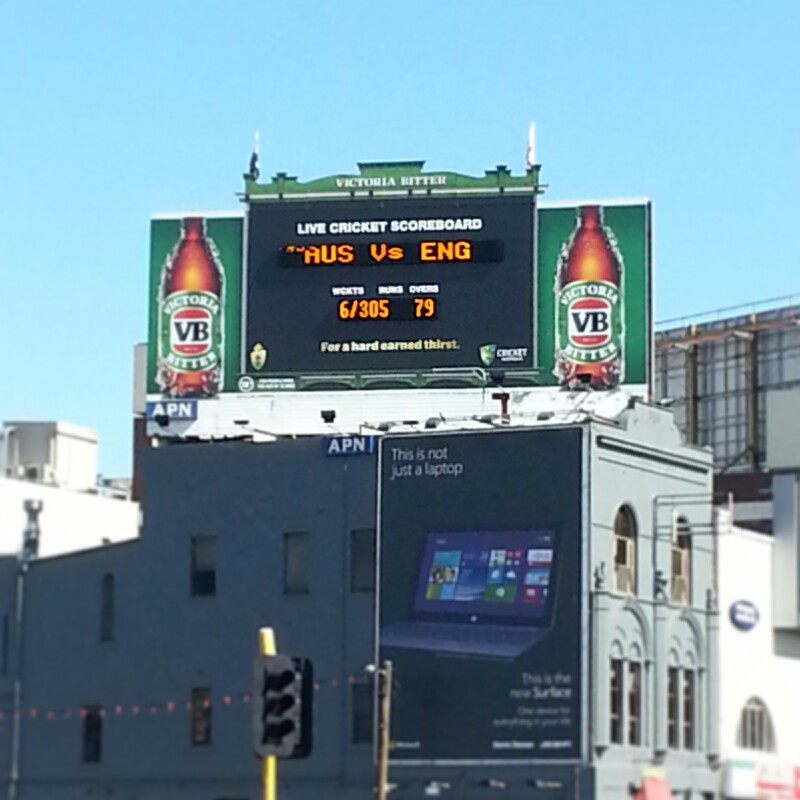 Just in time for the Ashes cricket series (Australia vs England) a new billboard appeared on my drive to work. Victoria Bitter (VB), a classic Aussie beer has launched its summer campaign with a live cricket scoreboard billboard – drivers passing by get live cricket updates. The design of the billboard looks like a vintage cricket scoreboard from the good old days (eg. Adelaide Oval). The company is giving away mini versions of the billboard that give live updates with special purchases of VB cartons (slabs).